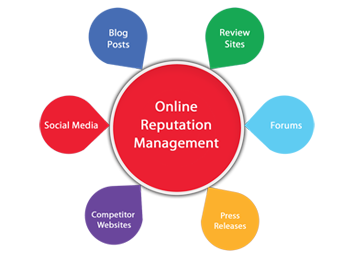 Online reputation managementis monitoring the perception about a business, brand, product, service, website or even an individual on the web that includes entire digital market. It can also refer to brand reputation management as its objective is to boost reliability of clients. What is the process of ORM? Content monitoring: We are the best in orm in India because we don’t jump into the fray without understanding the competition and trends. Our managers study remarks, posts and all the material that gives insights on trends in the media about clients. Once we understand the trends, we can make a strategy to manage reputation. Quick response: Our team is quick to respond to the queries raised by customers and questions thrown by competitors. With orm services in India, businesses can take advantage of positive remarks, posts and comments. Accessibility: It is accessibility that matters most as businesses that are user-friendly get more queries and positive reviews. Accessibility increases reliability in the long run. Web market has become more competitive and competitors are using every possible way to an edge over others. User views matter most and businesses take advantage of negative views. The only way to counter negative views is to post positive views. Businesses can take advantage of positive reviews and remarks in furthering their offers. A well-managed reputation can build brand, generate leads and increase reliability. Businesses from across the globe are looking at orm services company in India and in India, they rely on Syscomcraft.